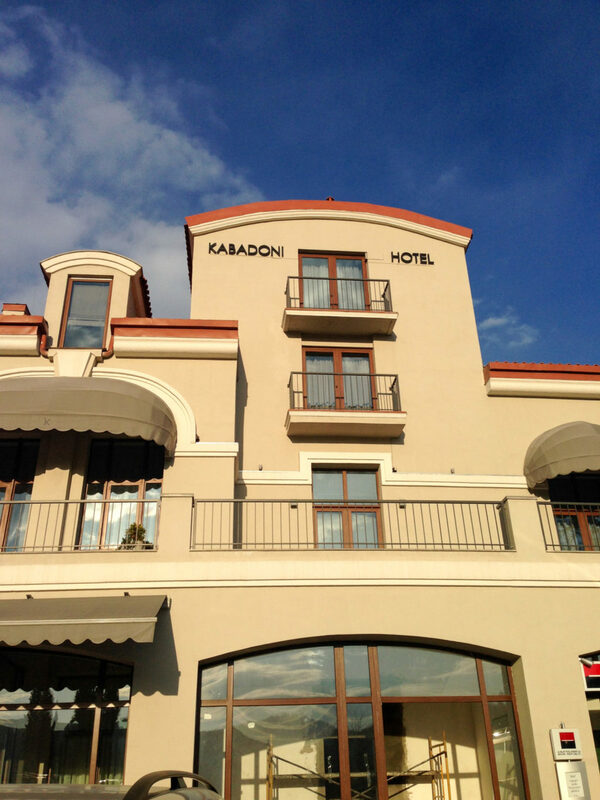 Hotel Kabadoni is a modern boutique hotel in a gorgeous historic town in Georgia’s major wine region of Kakheti. 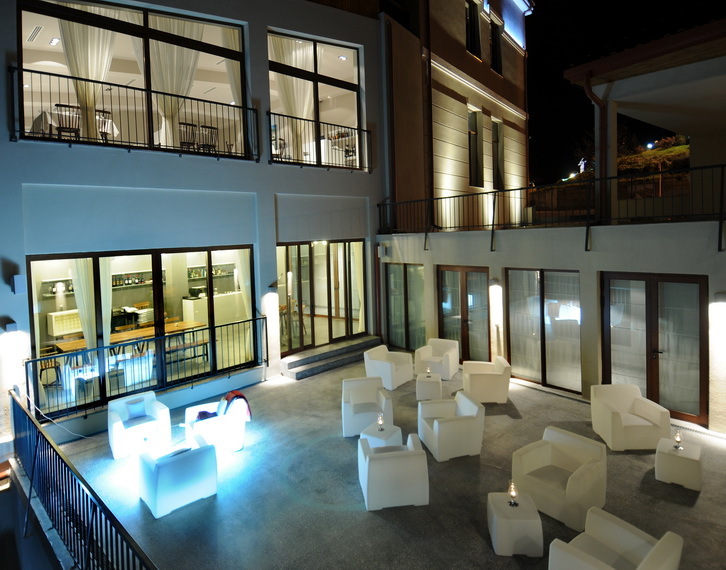 Photo courtesy Hotel Kabadoni. I couldn’t figure out why it felt so familiar to be in Georgia, a country halfway around the world at the crossroads of eastern Europe and western Asia, where the food, the towns and cities, and the wines were nothing like their counterparts in my home of Vancouver, British Columbia, Canada. Then I realized. It was the mountains. We were surrounded by mountains. Georgia is located within the south Caucasus Mountains, and just like home, the snow-capped mountains are never far from view. You’ll get a gorgeous view of them when you step out of this modern boutique hotel and see the view of the Alazani Valley in the foreground, the mountains in the back. 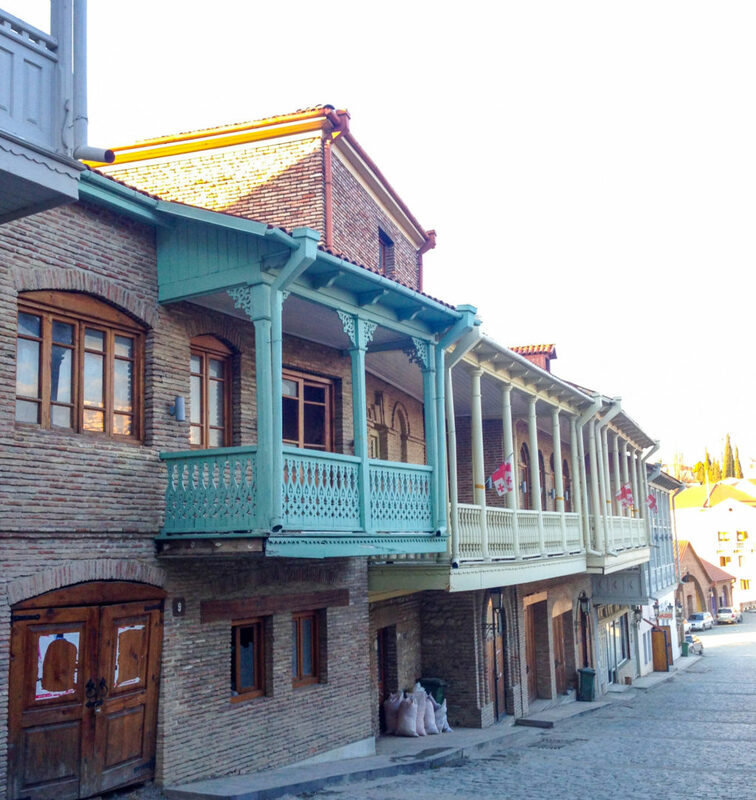 Hotel Kabadoni is located in the historical center of Signagi, a town in Georgia’s primary wine region of Kakheti at the far eastern end of the country. It is a beautiful town with cobblestone streets. It is also the home of Pheasant’s Tears, a winery, restaurant, bar and even an antique and carpet store! The Georgian food is delicious. The wine? Some are great, a few not so great. The few being ones that probably should have been treated with sulphur dioxide because the fruit or something in the winemaking process wasn’t in ideal conditions to support a wine without the normal addition of SO2. But you be the judge. If you’re heading to Georgia, the world’s oldest wine region, you’ll want to stay at this hotel, take a long walk around town, and have dinner and wine at Pheasant’s Tears. You might even pick up a colourful carpet to take home. 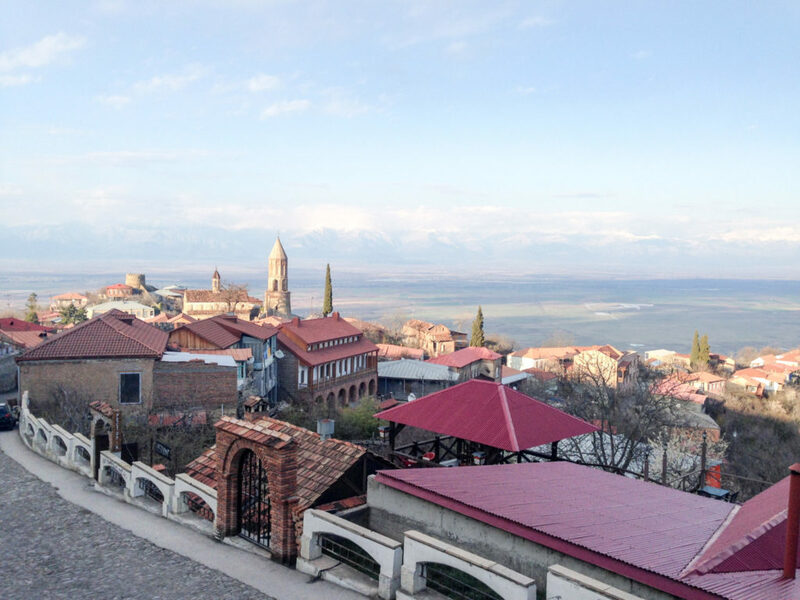 (Signagi is also spelled Sighnaghi).